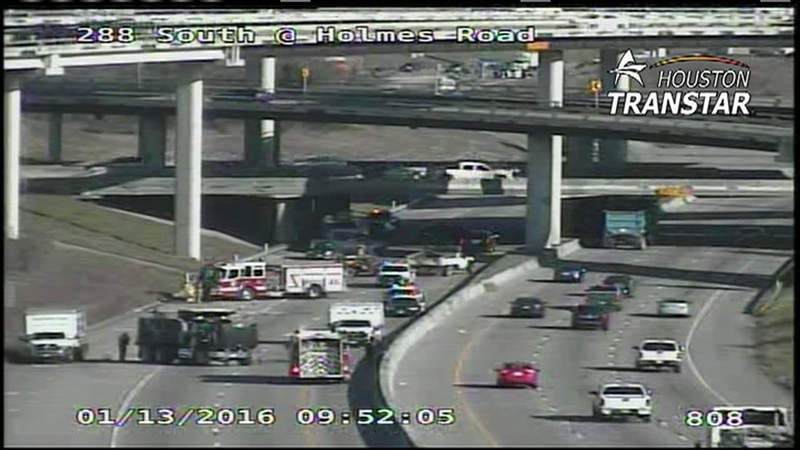 HOUSTON -- A big rig accident has prompted officials to close all lanes of Highway 288 southbound at Holmes Road. A fuel spill on the highway has happened as a result of the accident. Emergency vehicles are working to contain the scene. Stay with abc13.com and check with Eyewitness News at 11am for more on this developing story.